For his years of research demonstrating the power of radar techniques to wrest information from near-Earth asteroids, Dr. Steven Ostro will receive the prestigious Gerard P. Kuiper Prize next year from the American Astronomical Society's Division for Planetary Sciences. Ostro studies asteroids as a senior research scientist at NASA's Jet Propulsion Laboratory, Pasadena, Calif. He began probing these miniature planets with radar more than 20 years ago, and was essentially the only researcher doing so through the 1980s. The field has grown in the past decade, with increasing recognition of the scientific importance of asteroids. "Not only has Steve pioneered this field, he has trained a whole posse of young scientists who are now helping to reveal these incredibly fascinating worlds," said Division for Planetary Sciences Chair Dr. Richard Binzel, a planetary scientist at the Massachusetts Institute of Technology, Cambridge. "Steve has done groundbreaking work in a new area of solar system exploration," said the division's 2001 chair, Dr. Mark Sykes, a planetary scientist at the University of Arizona, Tucson. "With radar imaging of asteroids, he has provided insights into the shapes and collisional evolution of these very common solar system objects. He does things we couldn't do otherwise without sending a spacecraft, and he works with an intensity and meticulousness that make him a good model for all of us." Ostro and his colleagues have successfully obtained radar echoes from nearly 200 asteroids, mostly ones that cross Earth's orbit but also including many in the main asteroid belt between Mars and Jupiter. "Every single one of them is unique in its own way," Ostro said. "It's been just one remarkable object after another." For bodies that are mere points of light in the best optical telescopes, radar experiments have revealed exotic shapes, such as the dogbone configuration of asteroid Kleopatra and the elongated shape of Geographos. They have disclosed unusual motions, such as the slow wobbling of Toutatis. They have shown craters and other geological features on asteroids' surfaces. They have identified some asteroids as metallic, some as unconsolidated heaps of rubble and some as pairs orbiting each other while they orbit the Sun. "I feel extremely fortunate to be doing this work," Ostro said. "It's like a Star Trek fantasy -- seeing a world that no one has ever seen before. That's what I've been able to do over and over." The radar experiments require large dish-shaped antennas, such as those at the Goldstone, Calif., facilities of NASA's Deep Space Network, and the National Science Foundation's Arecibo Observatory in Puerto Rico. 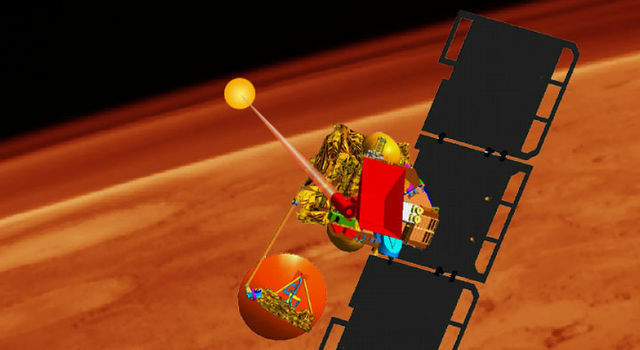 The Goldstone antennas serve primarily for communicating with distance spacecraft and get additional use for radio astronomy, including radar investigations. With radar, a radio signal is beamed to the target, and the echo brings information about the object that has reflected it. "It's not a passive observation like other areas of astronomy. It's more like performing an experiment on the object," Ostro said. "We stimulate the object to give up its secrets. We send out questions and get back answers." Among the most important answers from any near-Earth asteroid are exactly how far away it is and how fast it is traveling. That information allows a much more precise calculation of its orbit than is possible from only repeated optical observations of the same asteroid. With orbital calculations that incorporate radar-observation data, the forecast of the asteroid's likelihood of striking Earth can often be extended for centuries into the future. Earlier this year, observations by Ostro and colleagues were used to show that an asteroid named 1950 DA has a slight chance -- possibly one in 300, probably much less -- of hitting Earth on Saturday, March 16, 2880, which makes 1950 DA the most hazardous known asteroid. To date, NASA has discovered about half of the estimated potentially hazardous near-Earth asteroids, and, besides the extremely remote possibility of 1950 DA, none is on a path that will impact the Earth. Near-Earth asteroids make inviting destinations for initial human exploration of the solar system beyond the Moon, Ostro said. Many would be relatively easy to reach and offer useful resources, such as metals, complex organic compounds and chemically bound water, for wider-ranging space exploration. The prize Ostro will receive next September is named for Gerard Kuiper, widely regarded as the father of modern planetary science. The 1,200-member Division for Planetary Sciences awards it to one scientist each year "whose achievements have most advanced our understanding of the planetary system." Ostro will be the 20th recipient. Previous winners have included Carl Sagan, James Van Allen and Eugene Shoemaker. Ostro will be the first JPL scientist to receive the Kuiper Prize. The California Institute of Technology's Dr. Peter Goldreich received it in 1992. Ostro is a New Jersey native who earned bachelor's degrees in liberal arts and ceramic science from Rutgers University, New Brunswick, N.J.; a master's degree in engineering physics from Cornell University, Ithaca, N.Y.; and a doctorate in planetary sciences from the Massachusetts Institute of Technology. He began working at JPL in 1984. 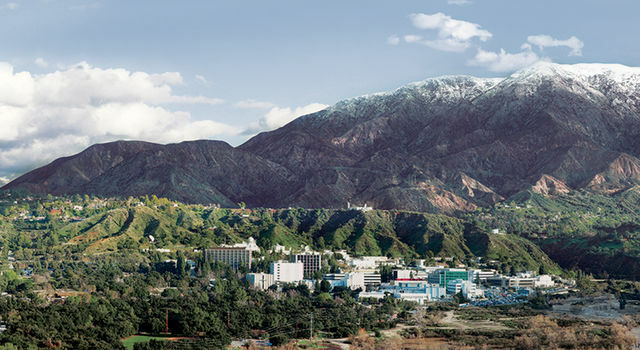 The California Institute of Technology, Pasadena, manages JPL for NASA.